Al-Mg alloy material 1.6mm thickness Anoding process Special surface process Golden color 【Most valuable Safety、lightly、variety and functions】 BeRobot is a scientific experiment package for all kinds of students/engineers from elementary school to graduate school, research institute We design it with lightly weight, little servo torque, high quality Al-Mg alloy material and ROHS compatible materials to prevent from harming students. 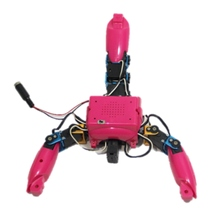 When you learn controlling BeRobot, it means you can control many kinds of multi-degree industrial robot, and even more, you can expand your RC controlling pleasure by expanding many sensors. 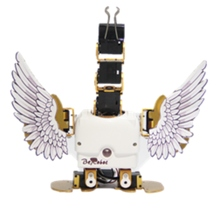 BeRobot is one of the most valuable robotic development package with the advantage of safety、lightly、variety and many functions. Gestream Technology lnc. 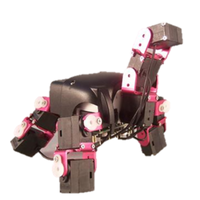 is a robotic technology company in Taiwan, we are dedicated to providing innovative robots that are affordable and easy to use. Our mission:Creating innovation in life, Simplicity, Convenience, Unique and Youth. Our product team members provide leading designs in mechanism, electric-machinery, optoelectronics, interactive sensors, communication, and online platforms. 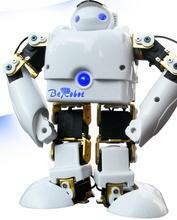 We have more than 10 years of manufacturing experiences in robotic fields. 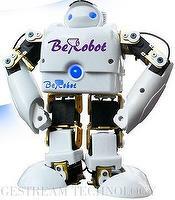 We offer high quality of Robots to customers.